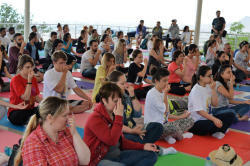 The third International Day of Yoga – June 21- is celebrated in Azerbaijan with a series of public yoga sessions and other events in many cities, including Baku, Sumgait, Ganja and Gobustan. The events are organized with the support of Azerbaijan’s Culture and Tourism Ministry and the Indian Embassy in Baku. 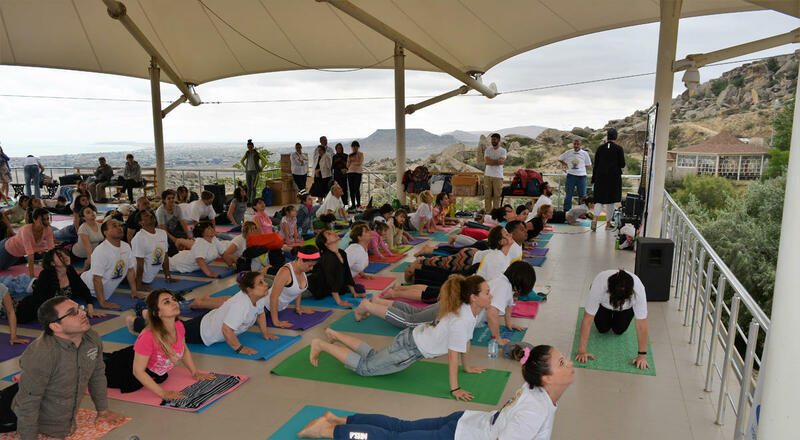 More than 150 yoga enthusiasts from local Yoga schools, namely, Yoga Shahi, Art of living Azerbaijan and Sivananda Yoga centre, and the Indian Association in Azerbaijan took part at the event. Ambassador of India Sanjay Rana said that Yoga is a combination of physical exercises and breathing techniques which enhances physical, mental and spiritual health of the practitioner. It consists of simple techniques which could be followed easily by persons of all ages. The ambassador also informed that during the Yoga Week in Azerbaijan, several public events are planned, including at Icherisheher (June 21), Ganja (June 23) New Sumgayit Seaside Boulevard (June 24) and Ateshgah, Surakhani (June 25). These events are open for public and there are no charges for participation. All Yoga lovers and fitness enthusiasts; beginners as well as regular practitioners could join in these sessions. The Yoga has been growing popularity all over the world. In December 2014 the Member States of the United Nations adopted a resolution proclaiming 21 June as International Yoga Day. Since then millions of people across the world celebrate the International Day of Yoga on 21 June with much fanfare.